I have been thinking about this for a while now. Could I do away with Adobe and their Creative Cloud, that is not use their software. I have been using for quite some time, the following programs: InDesign (page layout), Photoshop (retouching), Lightroom (file management and raw conversion), Bridge (quick exploration of images), Premiere Pro (film and sound editing), and I used to use Dreamweaver (website design), all in CS6 and I suspect when Apple release their new operating system later in the year this will become a problem that I will have to address as Adobe no longer supports their CS6 version of the Creative Suite as they really want people to move over to the monthly licensed version of CC. Which I would be fine with if they would only make a tier in their pricing structure that was between the photography only package and the full version. I do not need everything from Adobe and the everything price at normal pricing adds up to a lot of money at the end of the year, especially if I am only using part of it, and some o f those parts quite infrequently. Now as with all things change happens and with software and I’ve been looking for alternatives, to having to pay for the monthly subscription to Adobe Creative Suite. So I started looking for alternatives. I do very little page layout or film editing, but they are very useful programs, so I need something to do this, but as they are not my main thing. I do not want to be spending lots of money each month to use them. Photoshop –> Affinity Photo. At £39.99 this is a really affordable fully featured alternative to Photoshop, Mac only at this stage however there is a PC Beta. Affinity Photo opens and saves Jpeg, Tiff and PSD files so it will work with others using Photoshop. 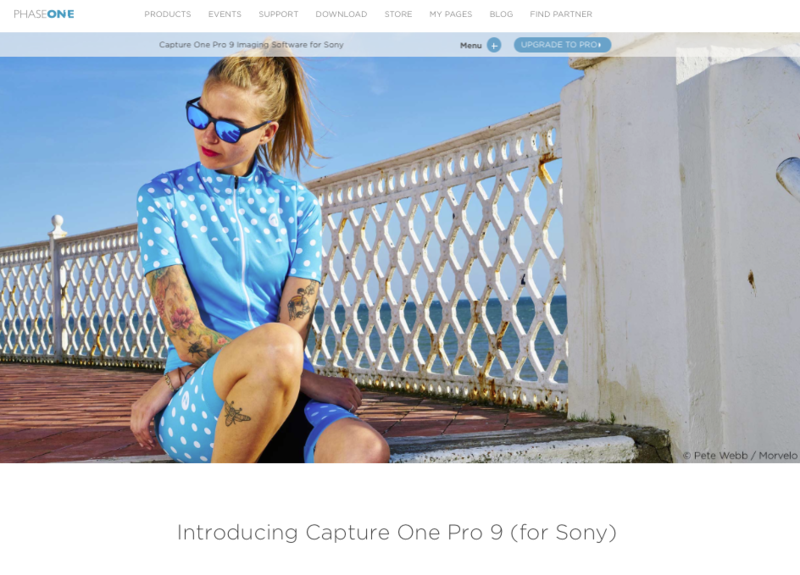 Lightroom –> Capture One Pro 9. Free for Sony users and € 279.00 for first-time purchases, if you want, they also do a subscription for €12.00 per month. A great Raw converter and library program, in fact it is better for Colours, Shadow and highlight recovery than Lightroom so I have take to using it instead because of this. This is the program that started me thinking can I do without Adobe. In other words I love this for how it helps me get great images form my raw files. Bridge –> Bridge CC. This is free, though this fact is not widely publicised. It is great as it is easy to use for a quick look at a folder of image without having to import the files into a database like Lightroom or Capture One Pro, I could use sessions, but it is quicker to use Bridge. Premiere Pro –> Final Cut Pro X. At £229.99 with no monthly subscription it is a good alternative, for film and sound editing. InDesign –> QuarkXPress 2016. At £799-00 this is expensive, however I might just qualify for the education price, which is only £59.00. I am still looking for alternatives, to Quark. The alternative program does have to be able to work with Indesign as that has unfortunately become the industry standard and is what my printer uses where I make my business cards. I forgot to say, that since I moved my websites to WordPress, I no longer need Dreamweaver to design my websites. It was becoming harder to do, as websites moved to mobile and responsive designs. Making it far easier to use WordPress for websites. If I pay for the whole Adobe Creative Cloud which gives me all the programs, it works out at £45.73 per month with no discounts or an annual cost of £548.76, or the educational price is £15.73 per month for the first year. If I move fully to the alternative my first year costs about the same but the following year maybe less. It all depends on how often I need to upgrade software and when these upgrades become available. So now that I have done the maths, I am starting to think it is time to really learn the alternatives as these are starting to look like they make better financial sense.